The Charleston Dress testers really outdid themselves! I can’t stop scrolling through all of these lovely photos and admiring them. Each one is so inspiring and beautiful. I know you’re going to love them, so let’s get right to it! 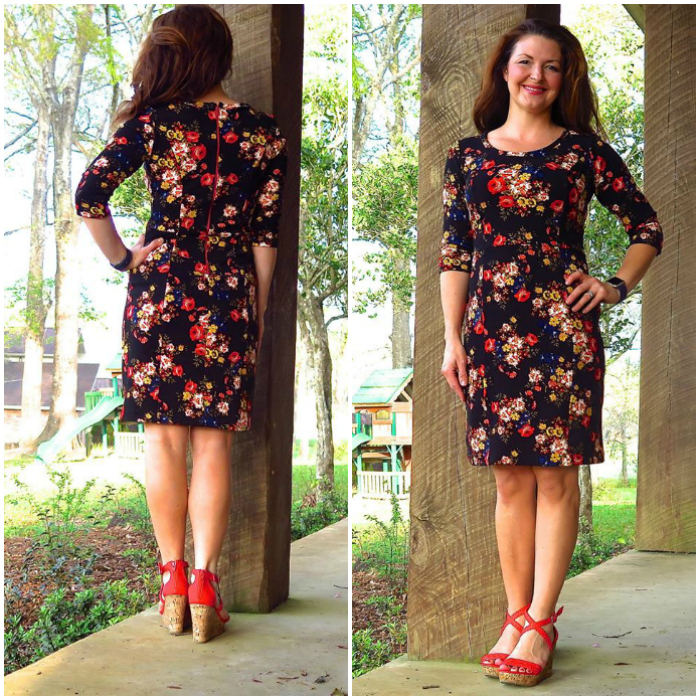 Missy made this stunning floral View A and a pretty color blocked lace version with leather trim! I swear I don’t have half the creativity of these ladies! I never would’ve thought of that combo but it’s simply gorgeous. Patti also made two Charlestons! 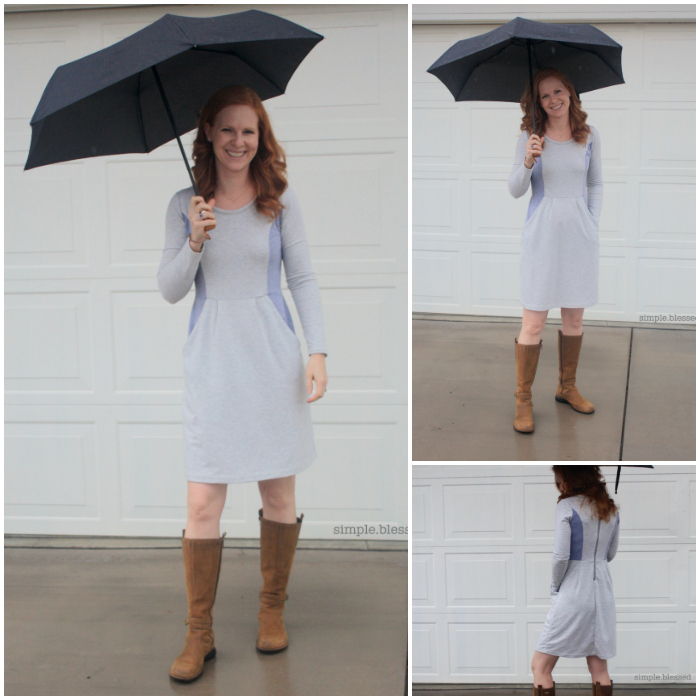 Her long sleeved view A is the softest coziest looking dress made with french terry. 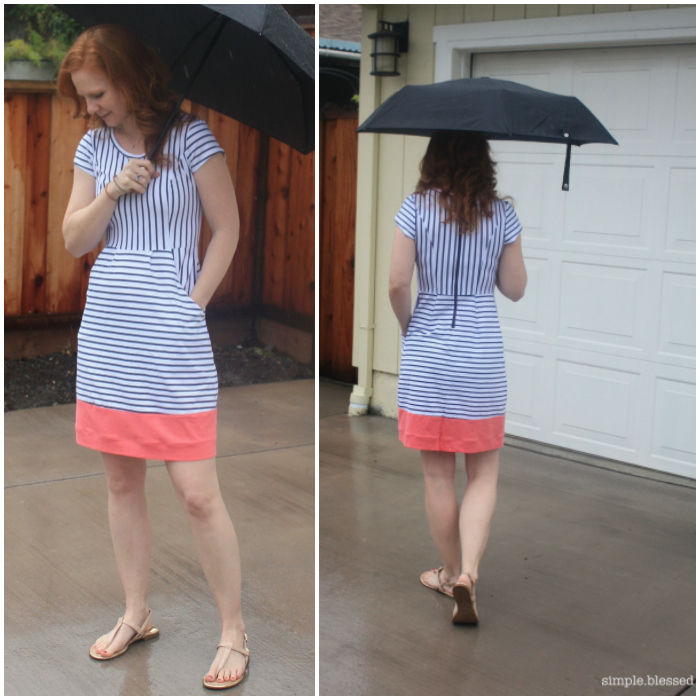 And her fun striped version is so cute and summery – I love that contrast hem band for a little pop of color! Emily made a gorgeous and simply dark gray version – perfect for accessorizing! 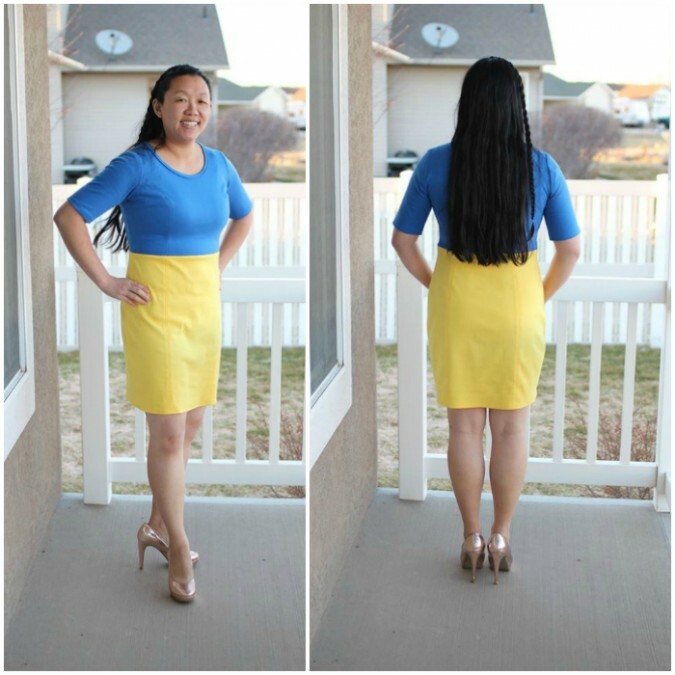 I love how she lengthened the skirt and made a deeper hem too, such a pretty feature! 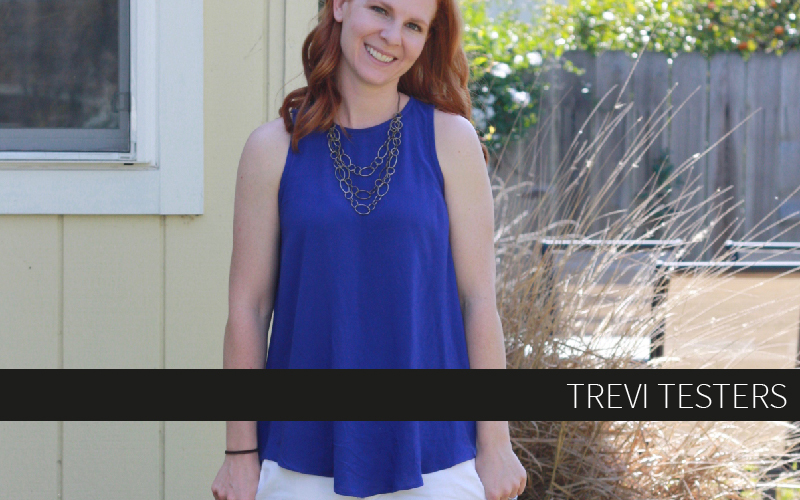 Teri used the panels for some color-blocking with her fun cotton/spandex print. I just love that contrast black zipper down the back! Tami is a showstopper in her simple yet gorgeous little black dress. It’s so very Audrey, don’t you think? 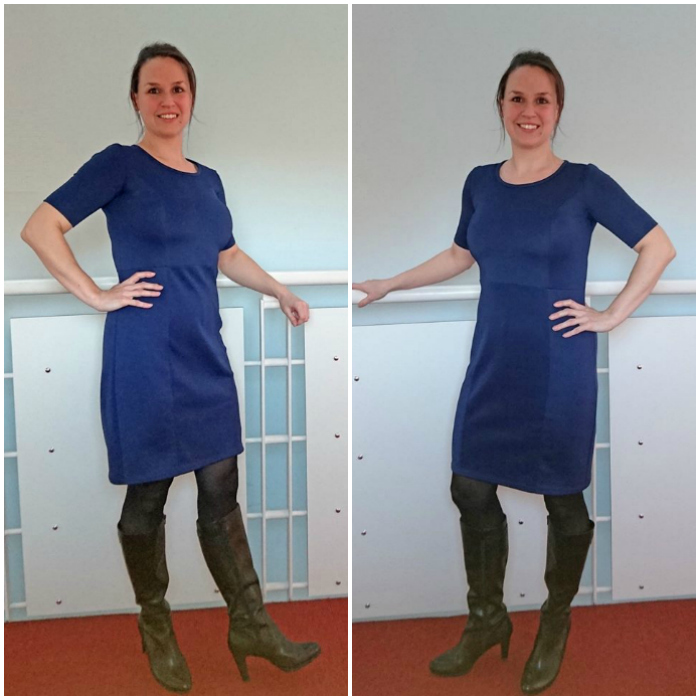 Stacey made up a solid and very wearable navy version for the office and a fun scuba knit print for going out! Jacque made up a fun summery sleeveless animal print dress. Love how she paired it with a belt here! 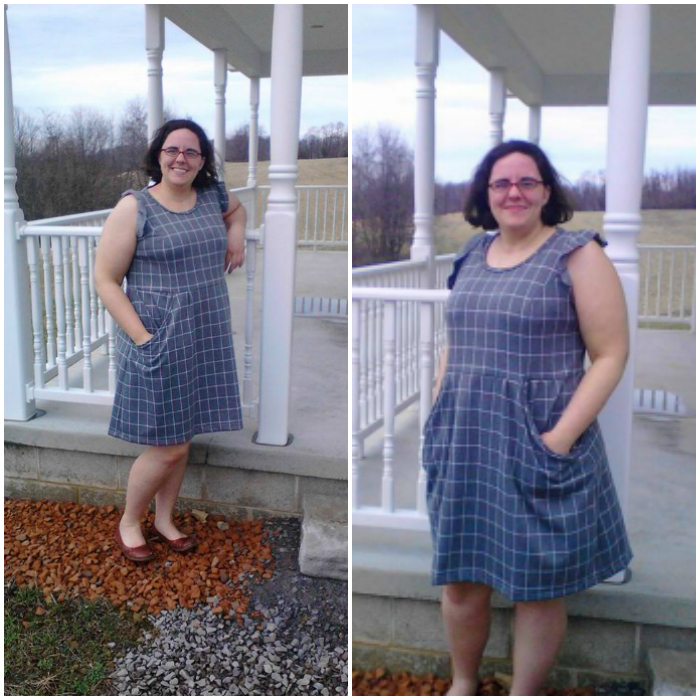 Rebecca made the perfect casual dress for this spring and summer. I really like how the colorblocking looks with the black side panels! 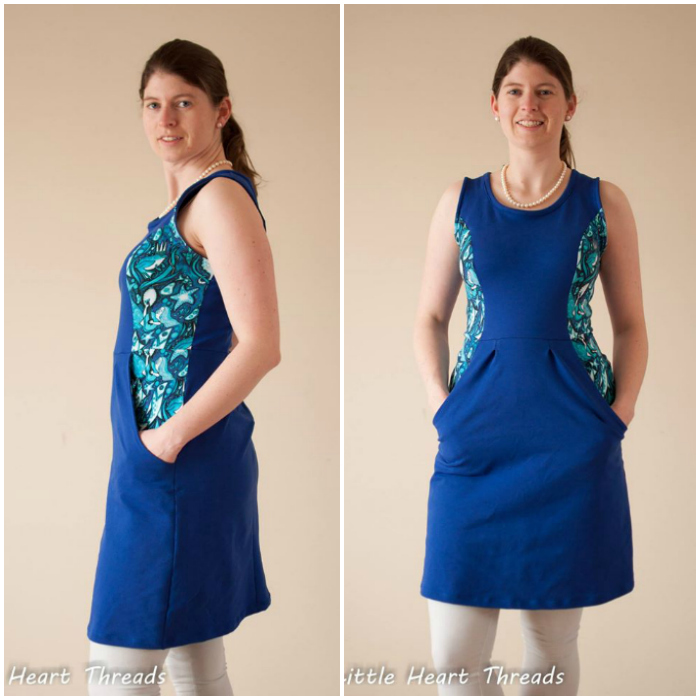 Tone made up a cozy and cute french terry dress with an added hem band and a really pretty solid blue dress. She used the wrong side of the fabric to add a very subtle colorblocking effect on the bodice panels and pockets – isn’t that clever? Rachelle also colorblocked, but with the stripes on the panels! 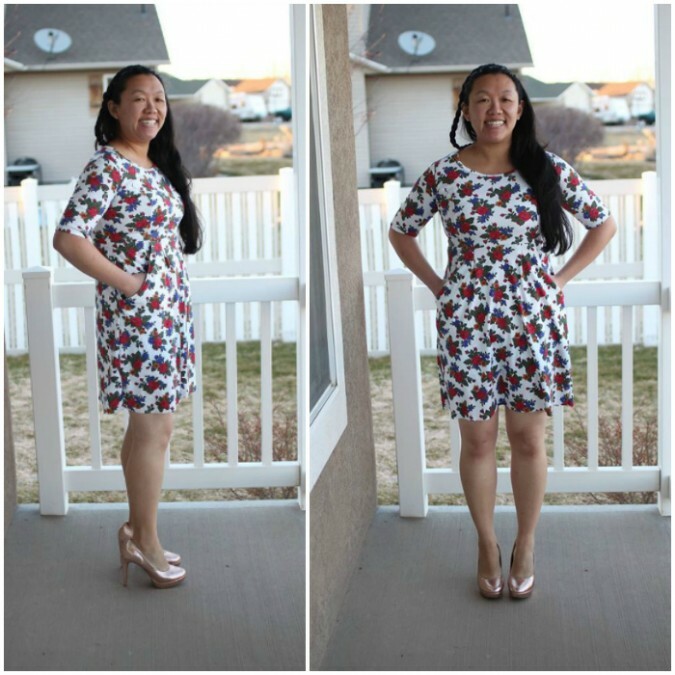 And instead of lengthening the dress, she added a fun little flounce! 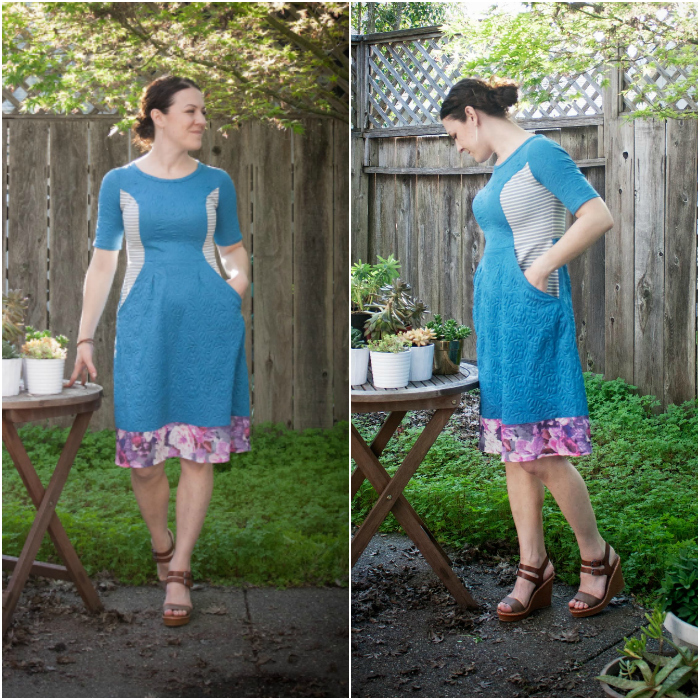 Both of Pam’s gorgeous dresses feature a pop of lace. The lace treatment really elevates the dress to something you could wear to a summer wedding or cocktail party! I love MJ’s neon printed fabric! Such a fun accent for the flirty little ruffle sleeve version she made! Michelle also chose to put the print on the side panels, with a lovely effect! This is also the first view of the sleeveless version! Michelle also made a colorblocked sleeveless style with a fun print! Melissa used the square sleeve and added a nice contrast with a metal zipper. 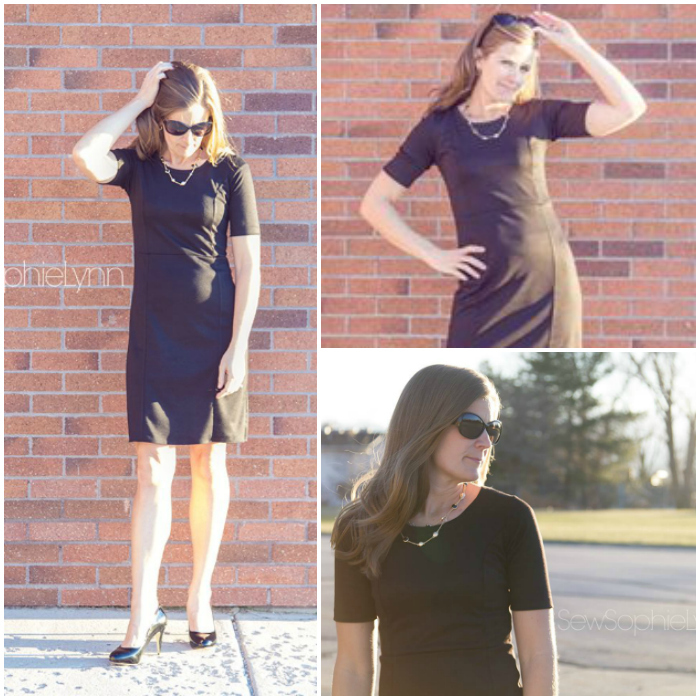 The possibilities of dressing up and down a simple black dress like this are endless! Melia used one of my favorite prints to make her cute windowpane check dress. I love the contrast of the geometric print with the soft ruffle sleeve here. Maria made two versions! Her lacey view B fits like a glove and her navy view A pops with a fun lime green accent zipper! Kristin took her Charleston on her beautiful spring vacation for these pretty pictures! Pairing a bright yellow belt with her coral view B just screams springtime to me! Jill dressed up her beautiful Charleston with textured Liverpool knit fabric and a pretty contrast necklace. She looks perfectly dressed for a fancy date night! Jennifer also made two Charlestons! 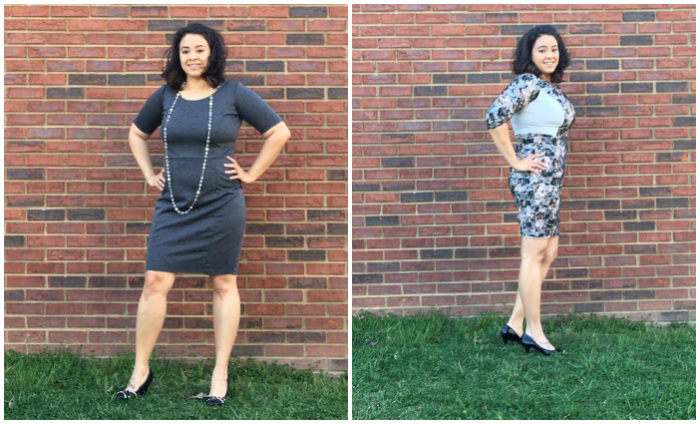 Her simple gray sheath is perfect for adding fun accessories, and her colorblocked floral version is made with stretch lace! 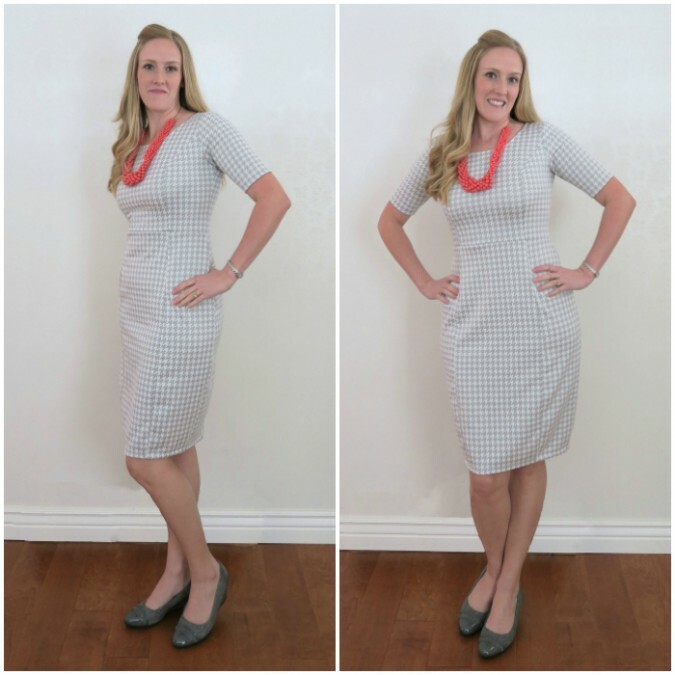 Heidi paired a cute and casual view A with this fun polka dot knit! 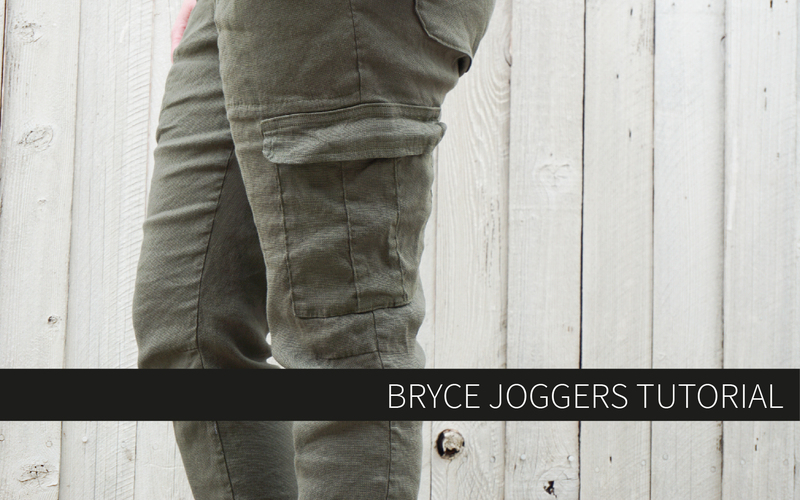 Great for running errands or dressing up and going out! Fleurine used piping all the way down the bodice and skirt for an elegant accent. 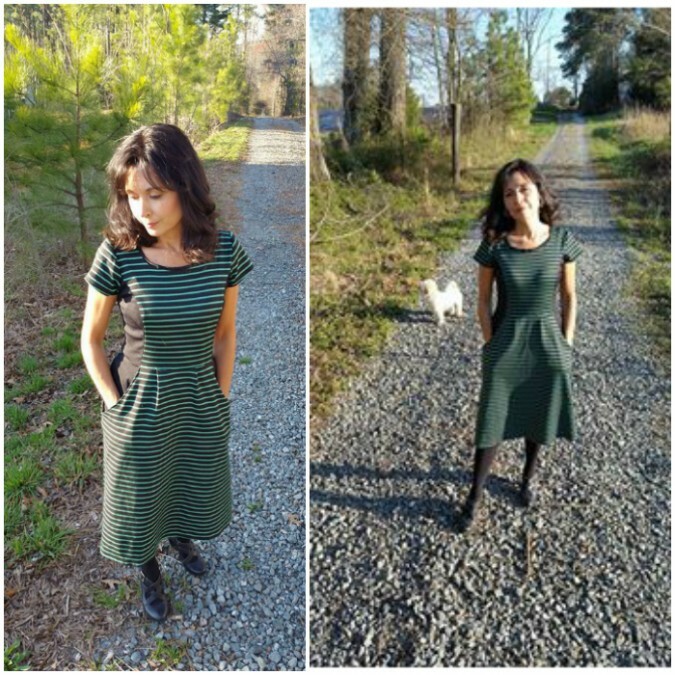 I love the way it makes the princess seaming pop on a solid colored dress! 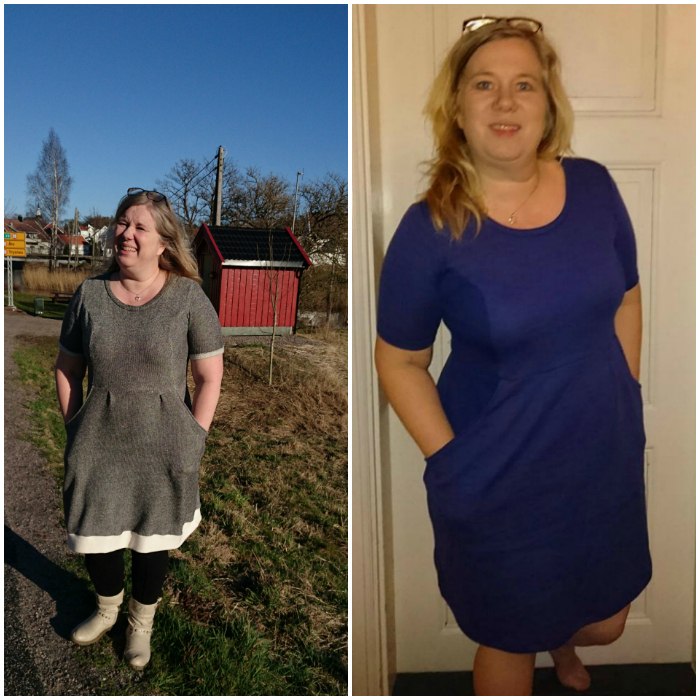 Emily also made two dresses – a fun and bright colorblocked View B and a lovely floral view A, perfect for Spring! Emi always stuns with her beautiful sewing and style. Her Charleston is no exception. The simplicity of this outfit is just lovely! Diana made a simple view B – perfect for pairing with an amazing accessory like that coral necklace! Her view A is classy and gorgeous and perfect for Easter! Denita knocked our socks off with her vavavoom leopard print dress! I love the simplicity of how she’s wearing it here, but I can also imagine it dressed up for a night out! Darcy made a visually stunning graphic Charleston. The pattern placement on the bodice is so eye catching and perfect! 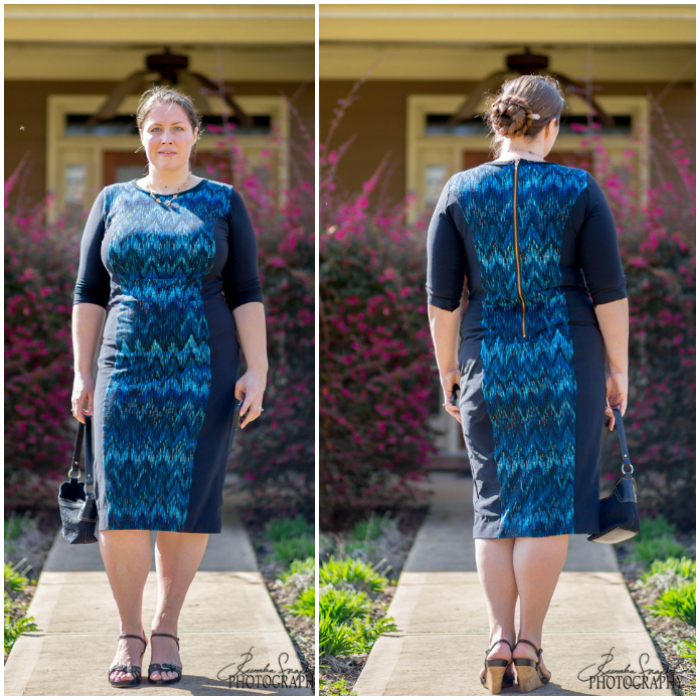 Crystal made a simple navy version, perfect for work, and then used both sides of a double sided knit to colorblock her pretty cream and gold dress! Genius! Crystal used a lovely blue floral for her sleeveless view A and also extended the colorblocking down onto the back of the skirt for a fun effect! 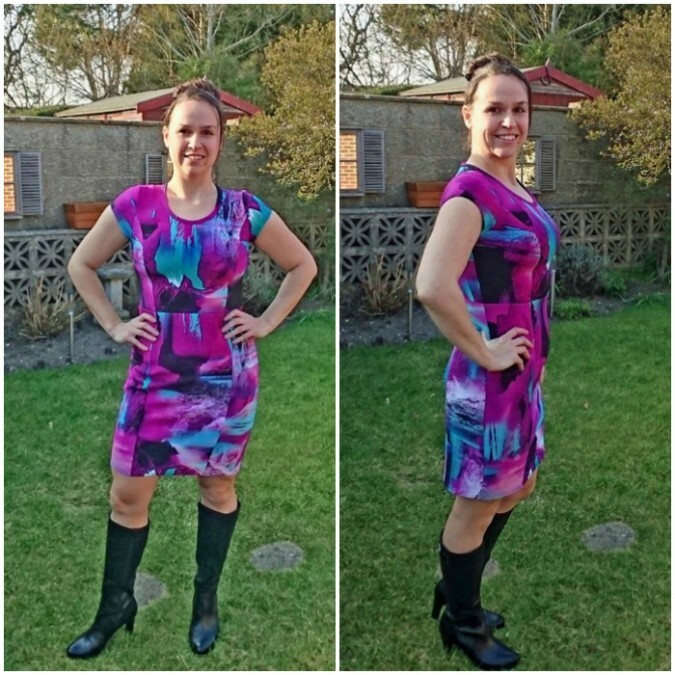 I love the neon accenting on Courtney’s Liverpool knit dress and piping! Paired with her gorgeous dark hair, this is perfection! She also played around with stripe direction to make a cute and casual view B.
Cathy made an ingenious breastfeeding friendly hack to the front of her Charleston! And her coverstitched seams are to die for! 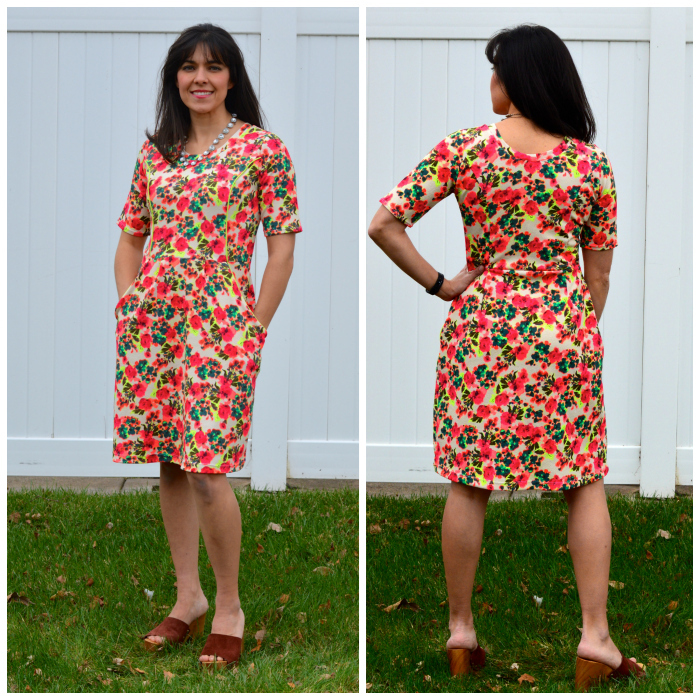 Cat sewed up her Charleston view A in this pretty floral just in time for Spring. I love the black hardware of her metal zipper paired with this floral. Such a great accent idea! Carlada is also dressing to accentuate her beautiful curves with her Charleston view B. To up the vavavoom factor, she lengthened it to a true pencil length. 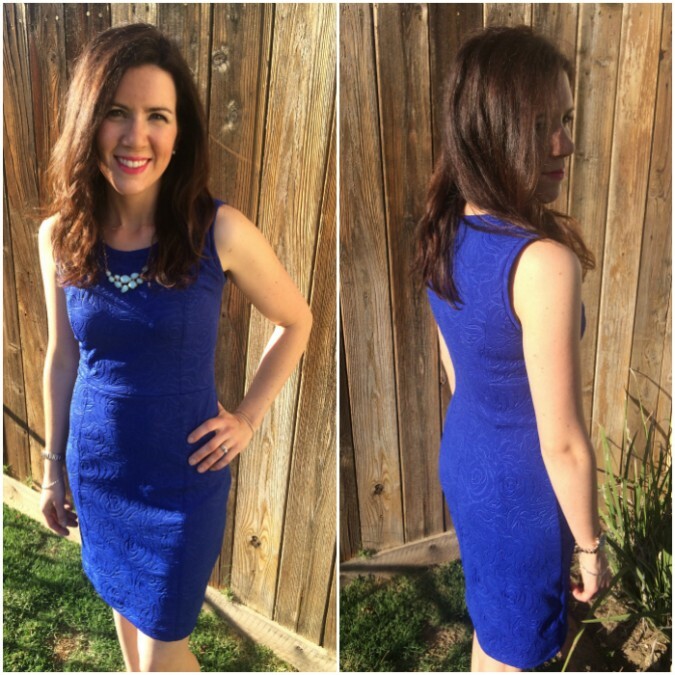 Brittany is stunning as usual in her simple navy number – perfect for so many occasions! This dress would be a staple in any wardrobe! 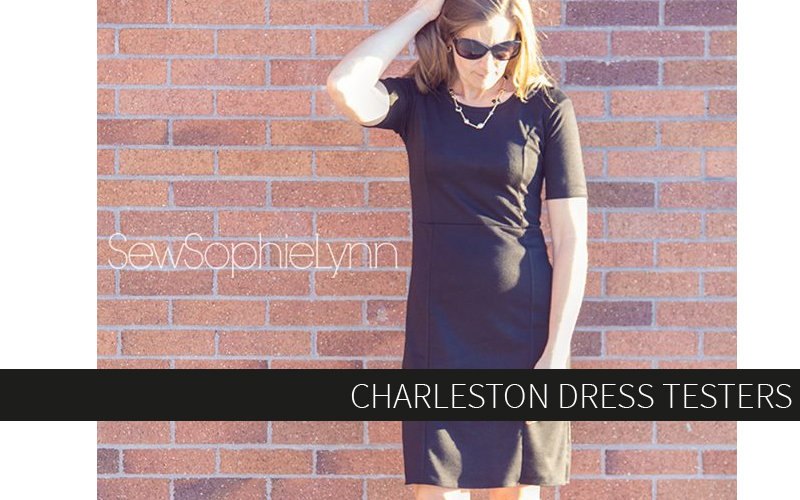 I love how Bethany took pictures of her Charleston styled for day and night. 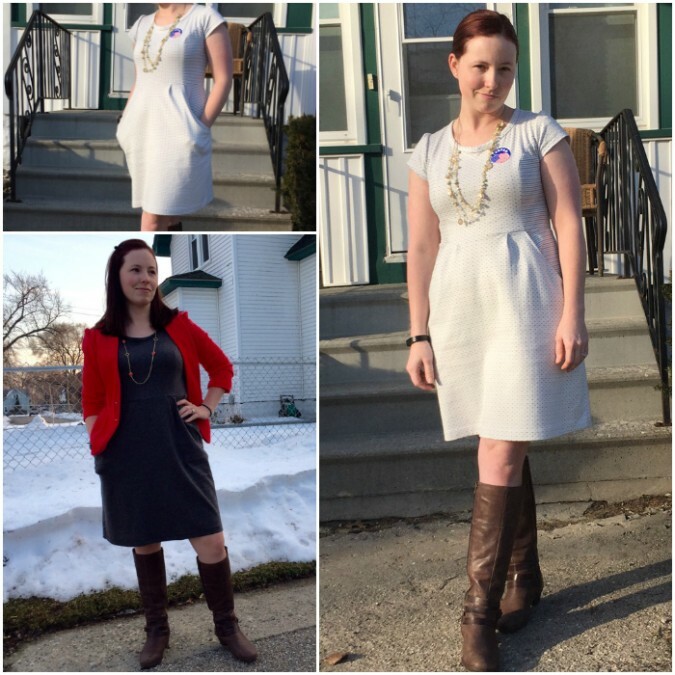 Just a few simple accessory swaps and she’s ready to go from the office to date night! Beth is showing off the 3/4 length sleeve with her beautiful floral view B with a fun red zipper accent! Fits like a glove! 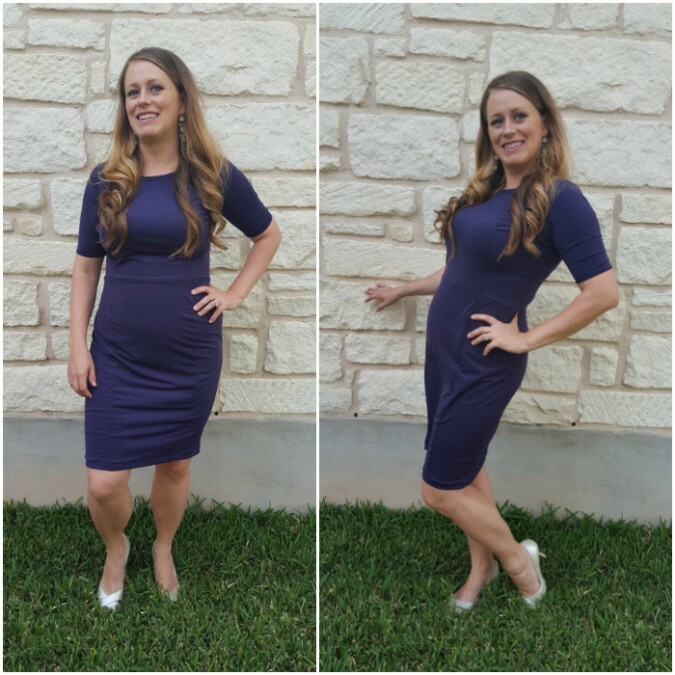 Andreia used a stretch woven and narrowed the hem of her classic fitted dress to wear to a wedding! I just hope she didn’t upstage the bride in this stunning dress! Amy made a perfect summery sleeveless sheath. I love this color on her! 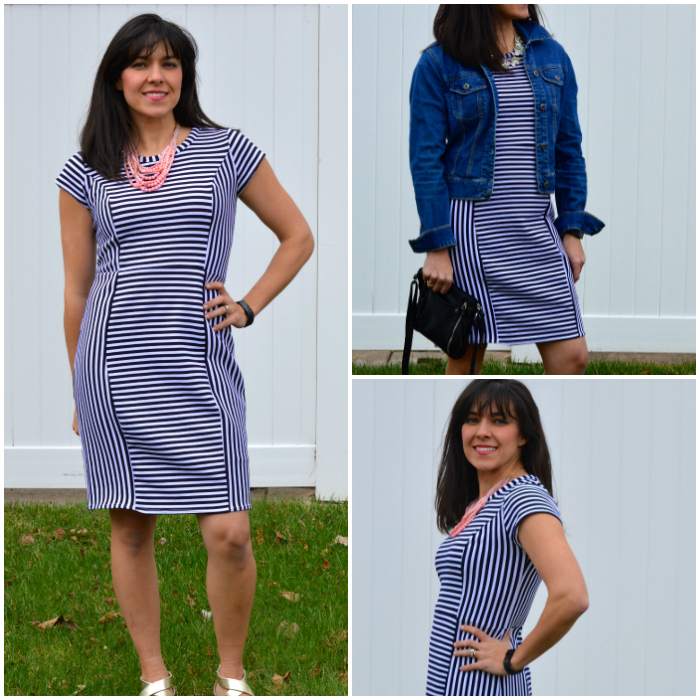 This dress will be perfect for styling in so many ways during the warmer months! Wasn’t that an amazing group of ladies?!?! As always, they made this pattern as good as it can possibly be and we all owe them a huge thank you for their efforts!! There were other testers who choose not to be featured, and even though they’re not listed here I applaud them as well! Thank you so much ladies! Don’t forget to grab the Charleston Dress or any other Hey June pattern you’ve had your eye on this weekend while they’re on sale! Code is “BLIZZARDSALE” and expires on Monday 3/28 at 11:59 pm mountain time. Amazing pattern! Do you know if there are any online stores that carry the pdf pattern and accept cards without using paypal? Long story involving expat life, soft currencies, and basically paypal no longer being an option, even for their credit card option for non paypal account customers. Daft, but there it is. Is there a pattern store I can go through and just pay on a card without paypal? I’d love this and the Lane Raglan. Congratulations by the way. It’s a brilliant pattern. absolutely lovely variations – I’m sold! Did all of the testers use a serger, or were some with a regular sewing machine? 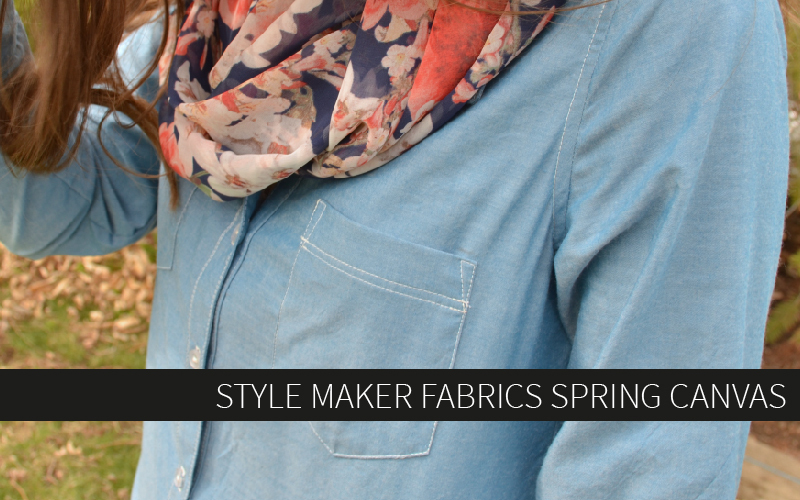 I used my sewing machine except for the hem, but it can be done completely on a sewing machine. Knit doesn’t fray, so using a serger is basically just to give it a finished look. Love them all. But I’d like to point out to Tami that Adrianna said the little black number she sewed should be MINE!